Many people decide to file a personal injury claim after they are injured due to someone’s negligence. For example, back in 2001, Kevin M. Shipp, an ex-C.I.A. agent, filed a lawsuit against the Central Intelligence Agency, claiming that the agency had placed him and his family in a home that was contaminated with mold, in an area where the drinking water was polluted with toxic chemicals. Shipp encountered many problems as the government helped dismiss the lawsuit on the grounds that protecting state secrets was more important than Shipp’s right to a court hearing. In the end, Shipp had to find a way to take his story public anyway and prove that the C.I.A. officials took measure to cover up their negligence, or their lack of due diligence (otherwise known as due care). Due care is the effort a person makes to avoid harming others in the course of routine tasks. It can be anything from driving your car on the road properly to running a background check on a new employee you’re about to hire. The term is rather general and can be applied to many different circumstances. In law, it’s often called due diligence, and it involves intense investigations of parties to determine whether someone or some entity lacked exercising caution in an activity. It’s often used in companies’ mergers and acquisition and also in personal injury claims. The point is that due care involves the respect for other’s wellbeing, whether that’s the wellbeing of their property or the wellbeing of their health. Due care is very similar to the ancient concept of The Golden Rule: one should treat others as they would like to be treated. And The Golden Rule stems from many different ancient cultures, religions and stories. The Parable of the Good Samaritan, for example, illustrates two men—a Samaritan and a Jew—who would have normally despised each other, helping each other out in a time of need. In ancient Greece, many philosophers, such as Plato and Socrates, had similar concepts of the principal along the same lines of “Do unto others as you would have done unto you.” It’s that type of respect for human decency that due care comes from. Did the defendant act in a responsible manner? Did the defendant act professionally, based on their respective profession? 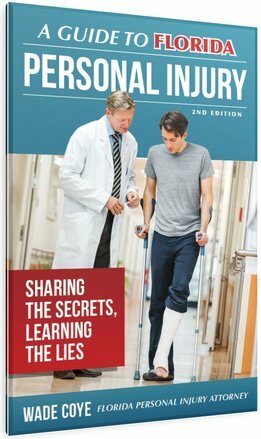 Did the defendant’s actions (or lack of action) cause the victim injuries and/or damages? Questions like these help judges determine whether or not a person or entity was acting in a reasonable manner. It helps them determine whether or not due care was properly adhered. Based on the degree of negligence and other factors, the jury may award the plaintiff a monetary settlement. Car accidents are particularly common. Everyone drives, but not everyone drives cautiously. Proving negligence (or a lack of due care) on the part of the other party is an important aspect of your personal injury claim if you are in a car accident. A motor vehicle accident lawyer may be the important edge you could use in proving a lack of due care. The Coye Law Firm specializes in personal injury claims, so call us for help today.